The complete range of agri business services, including subsidy and grant scheme advice. Stephenson & Son conduct on site auction sales throughout Yorkshire and the North of England on behalf of all types of client including private businesses, partnerships, corporations, local authorities and insolvency practitioners. 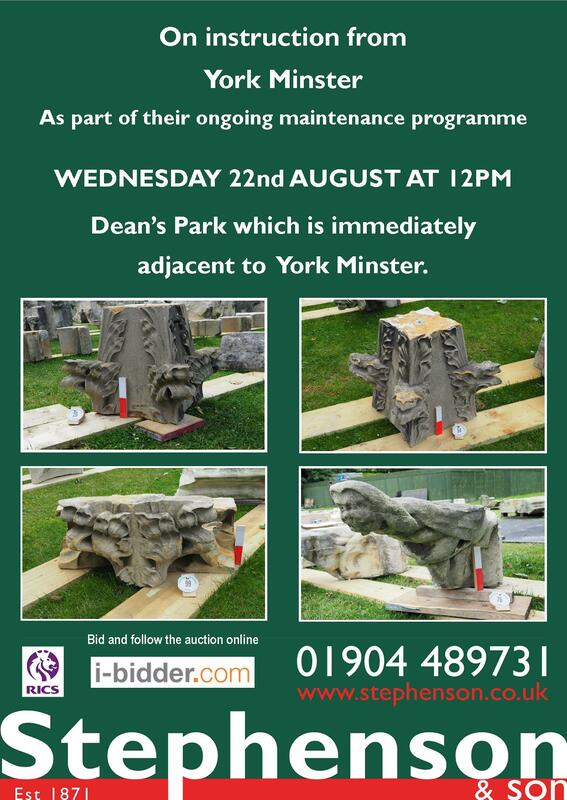 On instruction from York Minster as part of their ongoing maintenance programme, an auction of historic stone will be held on Wednesday 22nd August at 12 noon in Deans Park which is immediately adjacent to York Minster. Please click here for further information regarding the sale. On instructions from David Bedford following the sale of the farm, to be held on Saturday 14th July 2018 at 11.30am to be held at Dungeon Lane Farm, Oulton, Rothwell. 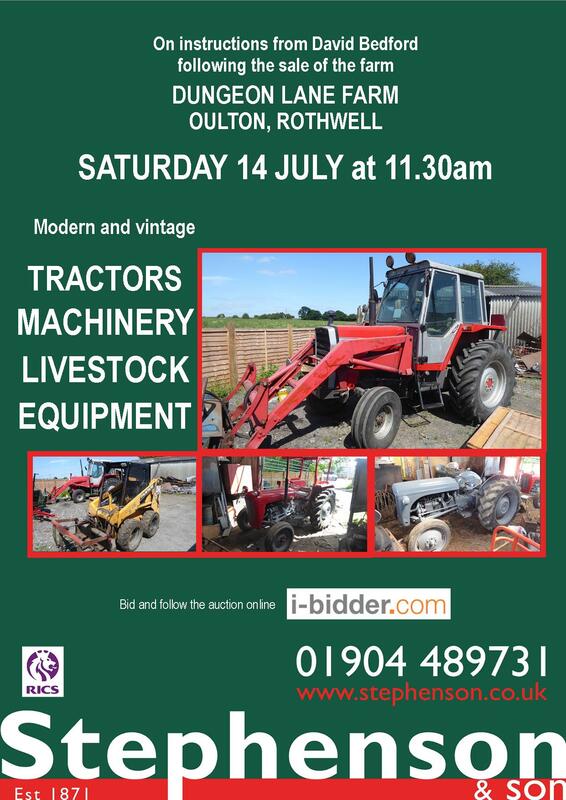 The sale will include a range of modern and vintage tractors, machinery, livestock equipment. On instructions from H & V A Thompson, Driffield and removed for convenience of sale to York Auction Centre, Wednesday 7th May 2018 at 10.45AM. 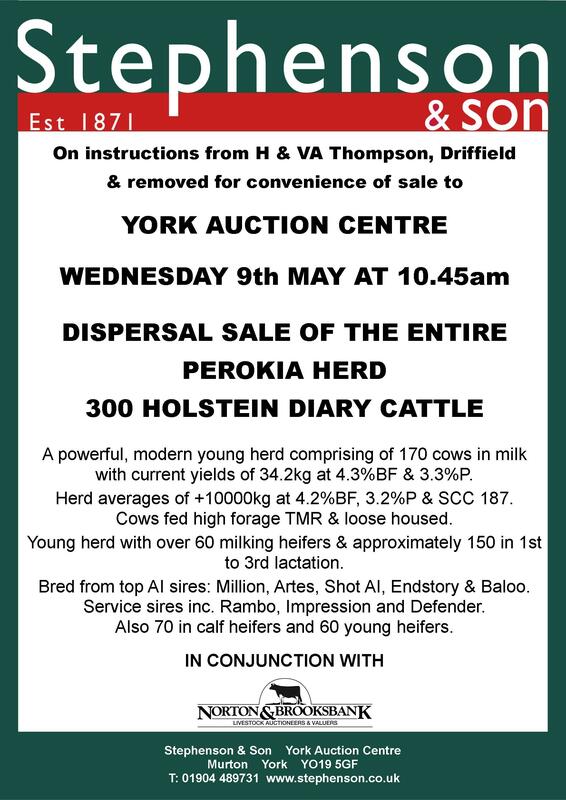 Dispersal sale of the entire Perokia Herd 300 Holstein Dairy Cattle. In conjunction with Norton & Brooksbank Livestock Auctioneers and Valuers. Experience and professional service – our auctions are all conducted by experienced and qualified professionals backed up by specialist support staff and bespoke computerised accounts facilities. 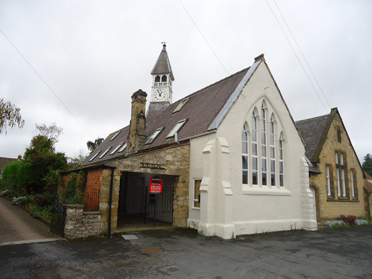 Range of auctions – as well as agricultural machinery we also conduct on site sales of all other goods and equipments including livestock, horses, vintage, horticultural, garage & workshop, cars & commercial, building & plant, household & furniture even through to wedding dresses! Maximising value – our expert knowledge of the market place and our extensive contacts in the second hand machinery trade ensure that we achieve maximum exposure and the best possible results. 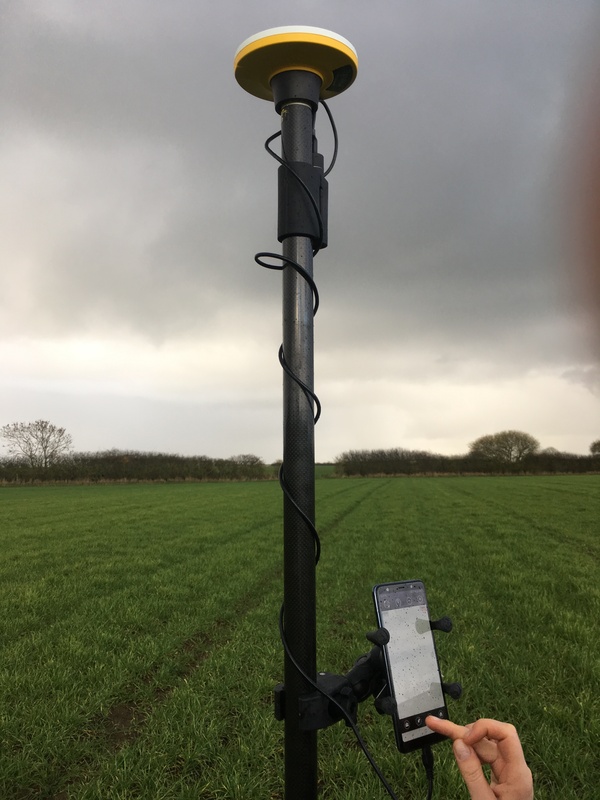 Optimum exposure – our regular sales at the York Auction Centre provide an excellent platform to operate on site auctions with an extensive register of buyers ensuring maximum cover across the UK and abroad. Guaranteed payment – as members of the RICS we adhere to strict regulations governing clients’ money protection, giving the comfort and knowledge that you are dealing with a professional firm. Internet bidding – live internet bidding is available at our sales through i-bidder.com which includes a full catalogue and photographs on line and the ability for bids to be made real time from anywhere across the world. 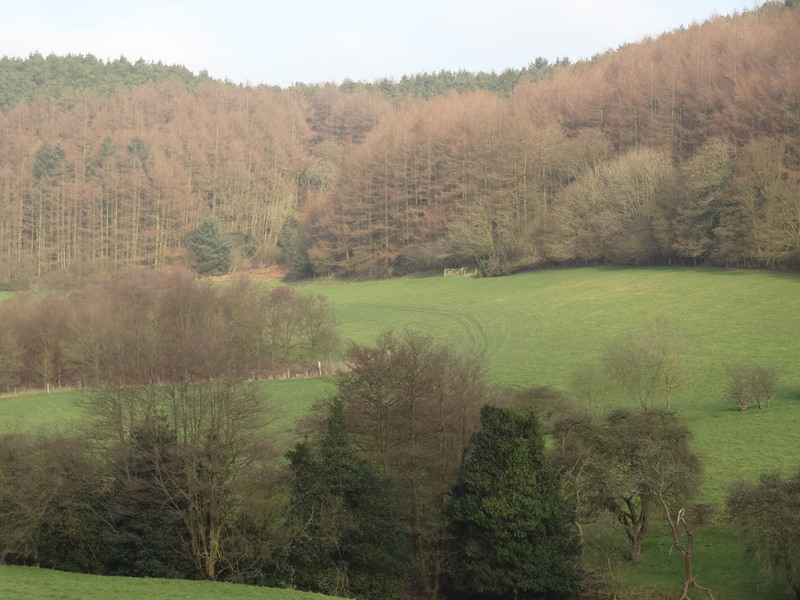 Together with Stephensons Estate Agents Boulton Cooper forms one of North Yorkshires Largest Independent Estate Agents covering the Ryedale area. Stephensons Estate Agents forms one of North Yorkshires Largest Independent Estate Agents with Boulton Cooper Stephensons. Based in Malton; Boulton Cooper fine arts operates three sale rooms across North Yorkshire and provides a range of valuation services for antiques and fine arts.